I’m writing this post to share a bit about our new location independent lifestyle, what it means to us and how you too can live a freer, happier life. We were once living a life that we didn’t enjoy, so we made some serious changes and now we live an amazing life filled with freedom, travel and adventure. YOU CAN TOO! EVERY SINGLE DAY that Dariece and I wake up in our beachfront cottage in Grenada, we look outside at the swaying palm trees and blue ocean and are thankful for everything that we have. I find myself saying “I love our life!” about 10 times a day. When we decided to change our lives, we had no idea what we were getting ourselves into. We had never travelled extensively, had never run a travel blog (or even knew what one was), never house sat, never taught English, never lived in paradise. The truth is, anyone can do what we’re doing… if they want to. Note: This article only applies to those looking for a change in life because they’re not happy where they are. If you love your job, your surroundings, your life… then you’ve already figured it out. 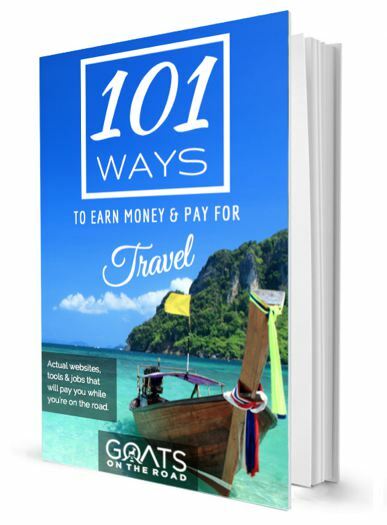 We may talk a lot about ways to make money on the road and how to turn your travels into a way of life, but really what we’re all about is being Free! Having total freedom to do what you want, when you want is very liberating. Sick of the 9-5 routine? Want to punch your alarm clock when it goes off at 6:30am? Tired of being tied down with debt, stress and drama? So were we! Change something. Break free and create the life you want to live, not the one you’re expected to. There’s a new global awareness taking place RIGHT NOW. With advances in our work/life mentality, modern technology and business marketing, work no longer needs to be a place. It can be where you want, when you want, HOW you want. We’re not the only ones doing this, there are hundreds of people living a location independent, free lifestyle. (Click here, here, here, here and here for some examples of other awesome people who are living the laptop lifestyle). Oh, and you don’t have to travel to be free. You can be location independent in your home country, city, town or house! Location independent just means that you’re free to be where you want to be, when you want to be there. We live this life right now and we’re so grateful that we found the inspiration and courage to change our lives when we did. We figure it’s time to try to repay some of that motivation and show others how great a free life can be. Below are 7 reasons why we love this new and exciting lifestyle. 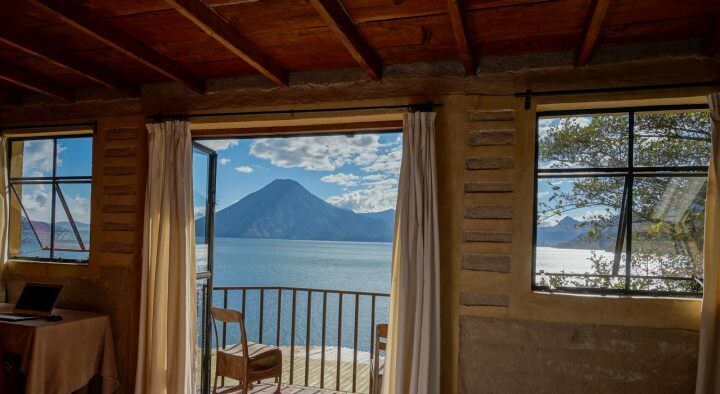 We hope this will give you insight into why this way of life is all the rage right now, and maybe it will inspire you to explore a freer lifestyle, doing whatever it is you enjoy. When we wake up in the morning, we usually make coffee, have breakfast and head to work, just like everyone else. What makes our job so awesome is that we can do it whenever we want, from wherever we want. If we don’t feel like working, we don’t. There are thousands of people who work for themselves and run their own businesses. Up until a few years ago, we didn’t think this was possible without experience… but it is! If we look out the window and it’s an especially beautiful day, we’ll close the laptops and head to the beach. If it’s the weekend and its raining, we might just decide to stay in and work instead of going out. If we’re sick (like when we just had Chikungunya), we don’t need to worry about calling our boss, we just lay in bed and take care of ourselves until we feel better. Having the ability to work when we want gives us the freedom to live the life that we want…100% of the time. There are so many incredible aspects of running a travel website and online business. We’ve been able to start our freelancing careers, review travel gear & accommodation, get creative with our videography skills, and meet many other travel bloggers. Another interesting part of our blog is that it allows us to work with unique hotels, dive shops and tour operators in exchange for our work. If we want to take a flight, we can contact the airline, if we want to stay in a luxury hotel for a few nights, we can call up the marketing director, if we want to go scuba diving, we can make a deal with the dive shop. 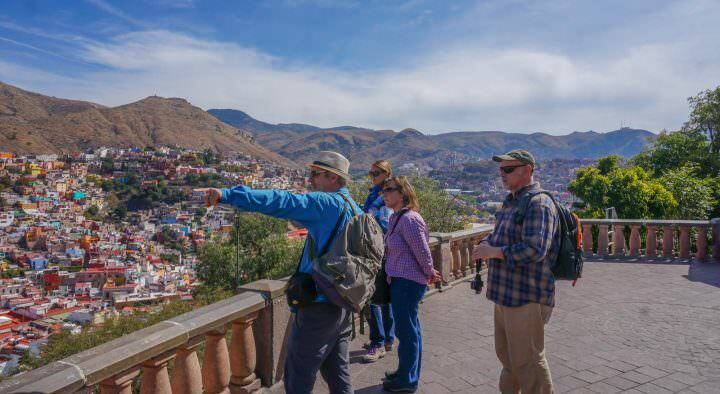 This type of marketing is relatively new to the travel blogging industry, but as time goes on, companies are starting to realize the incredible value that travel bloggers and travel writers can bring to their business. Of course we can’t always work out an exchange 100% of the time, but we’ve been able to partner with some pretty great companies over the past few months. You MUST love your work. Most people spend the typical 40 – 80 hours / week at their jobs, and when you think about it, that’s a HUGE portion of your life (the average human being is only awake 112 hours / week). We strongly feel that we should all love what we do, or we’re just wasting our best years looking at the clock and waiting for quitting time. I used to spend entire 12 hour shifts in Canada wishing that time would go faster so that I could go home, eat something, fall asleep and do it all again the next day. I feel like I wasted so many years wishing that time would pass, and now that I love what I do, I wish that time would go slower. Even when I’m working on the computer, I enjoy it, so I want it to last. I never want time to move fast again. I want to soak up every minute of life and make the most of it. To me, that is a blessing in itself. Note: You don’t have to be a travel blogger to have a location independent life. Click here for plenty of other ideas that can get you out of your cubicle and into the world. Travelling full-time is not for everyone. In fact, we even take long breaks from travel to house sit and live somewhere abroad, but we find that travel broadens the mind and gives our life an endless supply of adventure, experience and challenges. We’re always learning about the places we visit, trying delicious foods, meeting new friends and experiencing new cultures, and to us, that’s exciting. 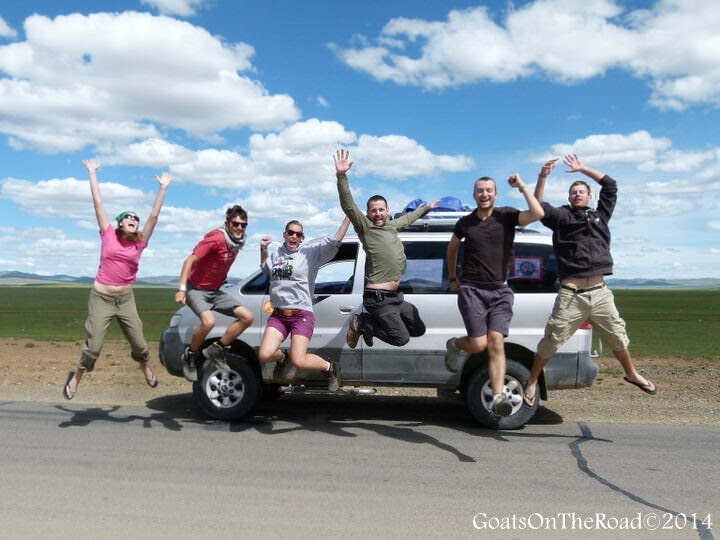 Some people find fulfillment in other ways and that’s great, but for us, we find it in travel. The key is to do what you love every single day. Do you love golfing? Make an effort to golf every couple of days, or every day! Love to cycle? Maybe decide to bike to work, or go for an evening ride each day. No matter what it is you enjoy doing, make an effort to somehow include it in your day. You’ll feel happier and rejuvenated. Really, the best part of our life is that we get to share it together. Solo travel definitely has its perks and we’ve met a lot of people who love the freedom of not having to discuss plans with anyone else. For us, we really enjoy travelling as a couple and having each other to share our stories and memories with. I can’t imagine a better travel companion, life partner and best friend and I am thankful every day that I found Dariece! Spending time surrounded by people who are uplifting and passionate can really have a positive impact on your life. Bring more happiness and joy into your day! Spend time with fabulous (like-minded) friends, go on more family vacations, enjoy more time with your kids, and give a huge hug and a kiss to those you love, this can really brighten up your life. Don’t argue about the petty things, instead, just let it go and move on. Living in Grenada definitely adds to our happiness. 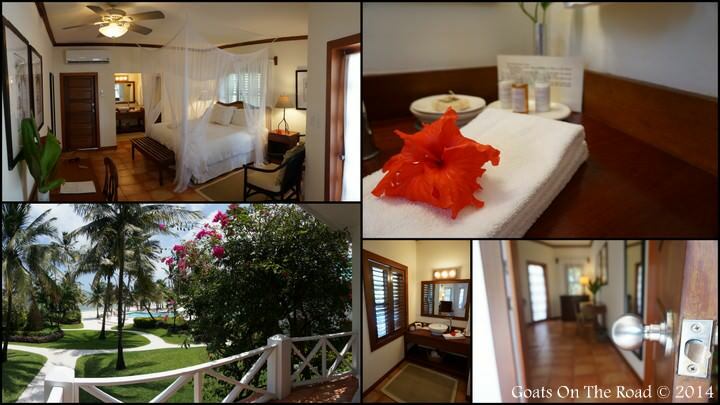 Our home at Petit Bacaye is a jungle-clad, beach front oasis that really can’t be beat. There’s something calming about being surrounded by nature and we’ve NEVER been on a more stunning piece of property in our lives. In fact, the entire island of Grenada is a secret Caribbean jewel that we’ve absolutely fallen in love with. Here we can laze on white sand beaches, hike to waterfalls, watch the sun set over the sea, explore forts and colorful villages, go for hashes, meet new friends, go sailing, go scuba diving and snorkelling, and basically just live the life that suits us best. Staying active, enjoying the outdoors and the relaxed pace is what living in the tropics is all about! Grenada is our temporary home and it will always have a special place in our hearts. It’s somewhere we hope to return to again and again. Living in paradise definitely makes us happy! It’s pretty easy to be happy when living on an island like Grenada! What does paradise look like to you? Is it a quiet beachside town, or a quaint village in the mountains? By surrounding yourself with nature and a peaceful atmosphere, you’ll ultimately be a happier and healthier person. If where you’re living right now isn’t making you feel rejuvenated and relaxed, we suggest rethinking your location. 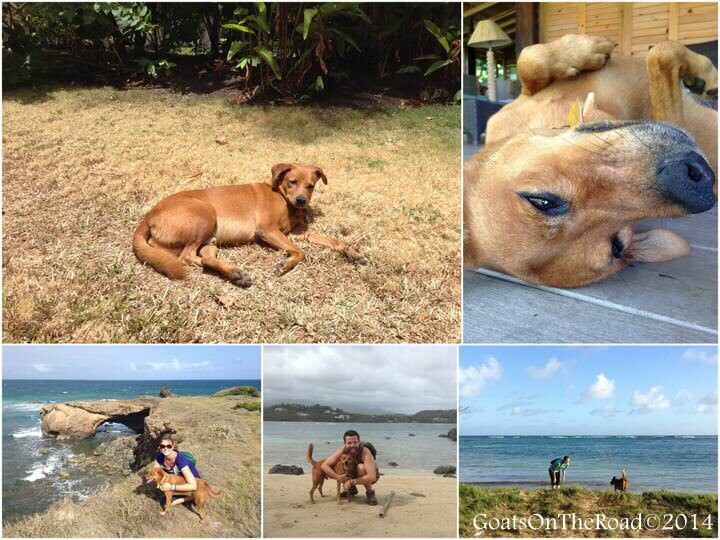 It’s amazing how much our little buddy Spare Dog has played a huge part in our happiness here in Grenada. He keeps us active, he makes us laugh and he loves us dearly. He’s been our little shadow for the past 7 months and we think of him as our own (even though we know his loyalty lies with his owners). He protects us, he sleeps next to our bed and he follows us wherever we go. We never imagined becoming so attached to him in such a short period of time, and as happy as he makes us now, we’ll be just as sad to say good-bye to him in November. We can only hope that one day we can return and pet-sit him again. We truly love our furry little friend named Spare. Spare – the best dog in the world! Again, surround yourself with loving people (or animals)!! We are totally free. We are free from debt, free from stress and worries, and free from the restrictions and confinements that typically come with a “normal” lifestyle. We don’t care about superficial things or material items. We only have the necessary possessions needed for our lifestyle, the Universe made it pretty clear that all we need is what’s on our backs! Sure, we have obligations and responsibilities to take care of Spare Dog for 7 months, and we should keep up with the website to ensure that we have the funds to support our lifestyle, but we don’t feel that this takes away from our freedom. Our blog and online business has given us more freedom than we could have ever asked for. The more it grows, more opportunities arise and more money (freedom) starts flowing in. Debt = Stress. There’s no two ways about it. The best thing we ever did was paying off all of our debt in Canada and leaving that stress behind. We paid our credit cards, sold the house, paid off loans, sold the vehicle and ditched the expensive bills, and we instantly felt as though a weight had been lifted. We believe that if people release themselves from the institutional shackles of debt, their lives will be instantly better for it. Instead of accepting debt as a way of life, shouldn’t we all think about what we’re spending our hard-earned cash on? If our purchases aren’t bringing us closer to happiness, then they’re probably unnecessary (that “new toy buzz” isn’t true happiness, it’s only temporary). There are numerous ways to save money and pay off bills and once they’re gone, there’s an immediate an overwhelming feeling of FREEDOM. We saved $24,000 on accommodation costs this year. We also saved $21,000 Teaching English in China. Our online business now makes a wage that allows us to travel, live in luxury and save money for rainy days (saving for retirement?… we feel like we’re already there). It should be noted that two and a half years ago when we started this online business, we had no idea where to start. We had no prior experience, no schooling and no internet background and now we live a financially sustainable life on the road. We don’t live a budget lifestyle. We eat at nice restaurants frequently, live in beautiful accommodations and don’t scrimp on any aspect of our entertainment. 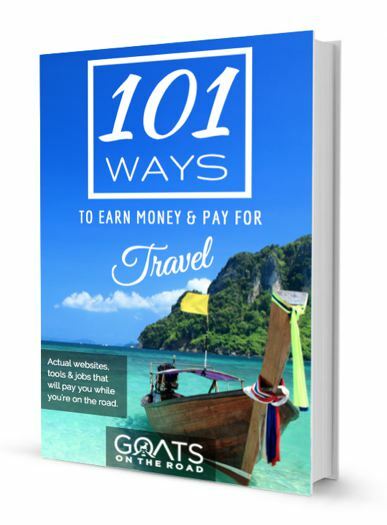 If we can make and save money while travelling the world, you can too! Maybe this sounds like 7 things to brag about… but you know what? That’s okay. We are happy and we should be proud that we’ve been able to create this life for ourselves, but this post isn’t just about us. It’s about how easy it is for ANYONE to do what we’re doing. Our true passion comes from sharing our ideas and experiences with others. Receiving emails from readers who have found inspiration from our site makes us incredibly proud, honoured and excited. We’ve received many messages from people who have quit jobs that they hated and pursued a life of freedom, travel and adventure because they read our blog. Our life was changed by a blog called OneStep4Ward and a T.V. show called Departures and we’re just happy to be able to pass on some of that same inspiration and motivation on to people who have read our posts. We can’t wait to hear what you think about this, leave a comment below! Very inspiring. You guys clearly have a lot of passion behind what you do, and it really shows! Good for you. You work hard at what you do, so you should be proud! All the best to you and thank you so much for the comment. That’s exactly my philosophy too. It’s about being free. I’m heading off travelling in January and am aiming to work in a location-independent way too. What a great way to live!! Hi Claire! That’s so exciting! Good for you 🙂 It’s all about being free to do what you want, when you want. Where do you plan to start your journey? We strongly feel that if you’re following your dreams, everything will fall into place. Happy trails and thank you for sharing. I would be bragging too if I were living your lifestyle! There’s no shame in bragging just a little 😉 You guys should be so proud of what you’ve accomplished in only 2.5 years. It’s pretty incredible. And the fact that you two are so happy with your lifestyle is very inspiring indeed! Thank you Justine. It’s true, we’re not bragging about it, but we are proud of it and want to share our story with others to hopefully inspire them to live a happier, freer lifestyle 🙂 I’m sure you’re enjoying your life in Indonesia right now! Thanks for commenting, we really appreciate it. ” Location independent just means that you’re free to be where you want to be, when you want to be there.” – exactly! I loved that paragraph! I have never taken a job that required me to be at the office strictly from 9 till 5(6) without any opt-ins. Guess, it’s my worst nightmare. I mean why should I stay till 6 if I’ve done with all the things by four? I hope more businesses will eventually come to the point that having flexible working hours (where it is possible) is way more beneficiary than forcing employees to stay in their chairs no matter what. That’s a very good point – and very similar to what Tim Ferris speaks about. Why should we all sit at the office between certain hours if all of the work could be banged out in 2 or 4 hours? There should be a different way of thinking surrounding this for sure. It would give people so much more free time to spend going things they love! Just starting out on this journey, and a lot of what you said mirrors my experience. Keep being leaders in the location independent space! Thanks for commenting. Where in the world are you starting your journey? We hope to inspire more people to live the location independent lifestyle and it sounds like you too are on the right path. Hi Renuka! Wow, that’s awesome! Congratulations for giving up all of the things that weren’t making you happy and pursuing a life of freedom and travel 🙂 Doing what you love and being happy is what it’s all about! I’m sure you’re following the right path and everything will work out, keep it up! Hah! I love Departures. You must be Canadian! It was one of the shows that we watched religiously when we saved for our first RTW trip. I still have all 3 soundtracks on my phone. Great show. Thanks for commenting Cam. Cheers! This line is interesting: “I feel like I wasted so many years wishing that time would pass.” It’s like the anti-Proust. Instead of searching for lost time, you were hoping it would lose itself. Anyway, Grenada looks awesome, and this post hits the mark on so many levels. We just started watching “Departures” last year, by the way. Excellent show, and I can see how it could easily inspire you. Thank you for the kind words. We’re glad to hear that this post hit the mark for you! Grenada really changed our lives and way of thinking. Oh, and Departures is awesome! haha. You guys are so inspiring! And you have been, ever since I found your blog. I’ve just started my location independent job last week (transcription) and I really am so glad I made the choice to get into it. It was a long difficult year doing my course to get qualified, but it was worth it because now I’ll be able to do it anywhere. I’m still paying off credit cards and a loan (ugh…I hate even admitting that, it’s like it’s affirming my debt!) but the other plus is that by being location independent I’ll be able to live in places with low cost of living and therefore clear my debt quicker than if I stayed in Australia. Thanks again guys for all the inspiration. Wow, that’s incredible that you have found a profession that will allow you to live abroad. Don’t worry about the fact that you have debt, and most importantly, don’t feel ashamed about it! You’ve found a great way to pay it all off, good for you. Good luck to you, I’m sure everything will work out! Very inspiring post, as always! You guys really deserve to be kicking back on a tropical island after achieving so much with your blog in such a short space of time. Two and a half years is nothing, and it’s wonderful that you have come so far. 🙂 Well done, and I hope you continue to enjoy every minute! Thank you so much for the kind words Christine 🙂 We’re very happy with what we’ve accomplished…but it did take a lot of hard work! Being location independent has been a goal of ours and we’ve very happy we’ve achieved it. You guys have figured a way out to live your passion, and i am searching for mine. How easy/difficult would you say this lifestyle is for a single person? (me: woman in her mid 40’s). Do you feel an extra level of security because of the fact that you’re a couple? My thoughts: being single increases your sense of freedom even more, but adopting this lifestyle just seems that little more difficult. Sponsors (tour operators, luxury accommodation providers, pet sitting, …) may be more ‘reluctant’ to co-operate (or not?). From my experience: there are several discriminatory circumstances that work to the disadvantage of singles. E.g. you pay more but often get that one room without a balcony; or only double bed rooms are available so you are told they’re fully booked; or on a cruise you’d pay a fortune for a single cabin. Or that particular excursion requires a minimum of 2 people. Also re practical reasons: there’s no-one to mind your luggage while on the road; walking around with a selfie stick all the time and/or doing video shoots may be tiring in the end; when trekking there’s no sharing the weight (tent etc); renting a car and driving it by yourself in strange/unfamiliar places could be a little stressful; in macho countries a male companion may be taken more serious (when bargaining for a taxi etc). During my last trip (Central Asia) I realised that single ‘female’ travelers were really an exception. Usually there’s a few brave young Japanese solo travelers, but they tend to ‘race’ around (limited time). Wow, you’ve really thought a lot about the ways that a solo traveller doesn’t have it as easy as a couple, or group! You’re right, there are always solo Japanese women – good for them! Regarding bloggers working with companies, no, there is no discrimination for solo bloggers – we know of many who run the websites themselves and are very successful. For pet-sitting, if there is more than one dog, sometimes they will prefer a couple, but for the most part, it doesn’t matter if you are one person, or two. All that matters is your experience and that you are responsible and caring. When you’re working outside like you are in your photos, how do you avoid the glare from the sun? I can never work outside because I can never see a single thing on my monitor. When it’s extremely sunny, it’s hard to work in the sun for sure, but we usually have a bit of sun / shade. Often we’re squinting or typing an article without really looking at the screen! lol. And to be honest, we rarely work in the sun. Very inspirational post guys! Departures also inspired me to travel, as did Rob from Stop Having A Boring Life. 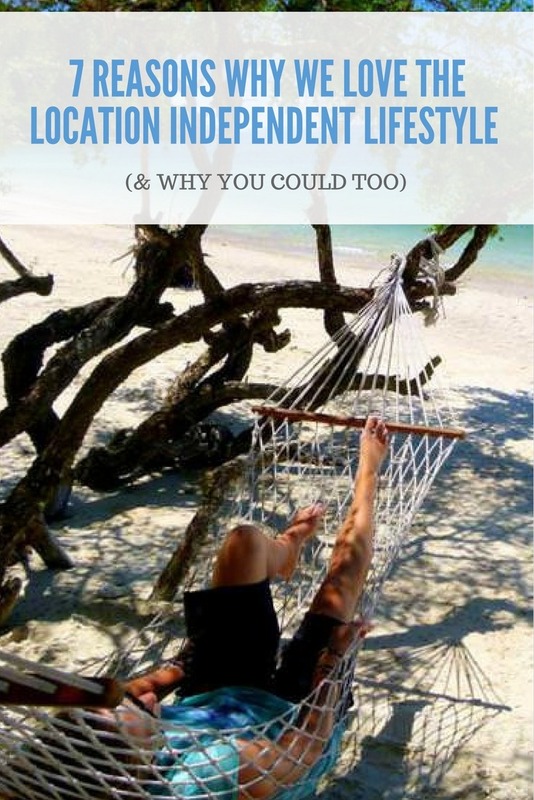 The location independent life isn’t without its challenges, but I never want to go back to a 9-5 job ever again!